Check our our Pet Safety Blog to learn tons of helpful tips for you and your pets! Did you know WE TEACH PET FIRST AID & CPR CLASSES? 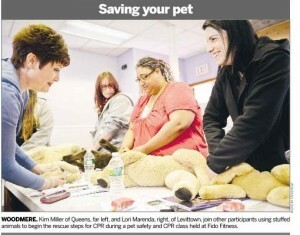 The class is a Must for any pet owner and pet professional. You will learn how to handle Any emergency with your pet, calmly, and confidently. No need to panic anymore if your pet is choking, if they are involved in a fight, if they ate something poisonous., are bleeding – anything! It’s FUN too! Lots of Hands-On work, and all students receive a 2yr Certificate, full manual, emergency muzzle, & more! Go to http://www.inhomepetservices.com/pettech to check out a class near you!